Coming up with a great business idea is one thing, but turning that idea into a calculated, fundable strategy is an entirely different—and much more difficult—endeavor. That's what inspired the enterprising minds at Bizplan to create a tool that streamlines the process, and premium lifetime subscriptions are on sale today for only $49, more than 90% off the usual price. 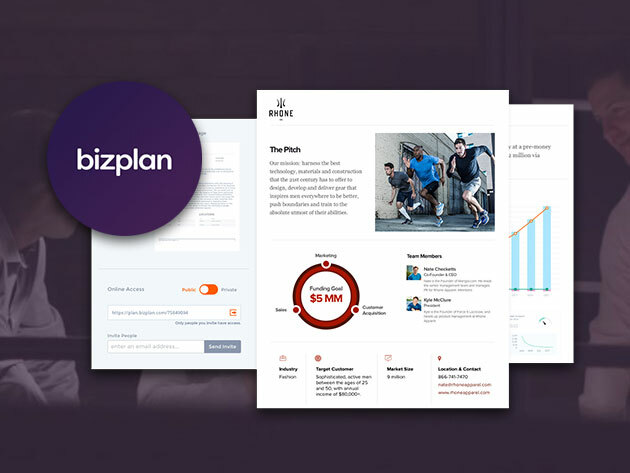 Bizplan allows you to break your business idea down into bite-sized pieces, so you can get your plan's ducks in a row without feeling overwhelmed. It lets you design your plan with drag-and-drop templates, monitor your finances in a single dashboard, and collaborate with investors and stakeholders using its sharing tools. Plus, Bizplan also integrates with popular tools, like Xero & QuickBooks, making for an even more seamless experience. Lifetime subscriptions to Bizplan Premium usually retail for $2,940, but you can sign up in the Boing Boing Store for $49 today.